Our blog’s name is inspired by Thomas Jefferson’s Memorandum Book, the accounts he kept for years detailing his day-to-day life. 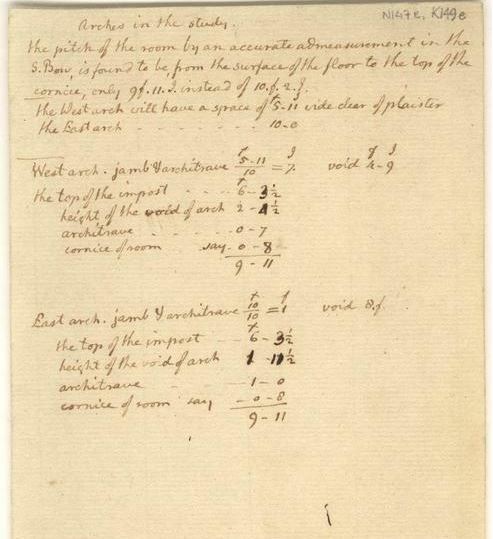 Jefferson recorded personal purchases, daily observations, and information about his travels in these records, which span nearly six decades. 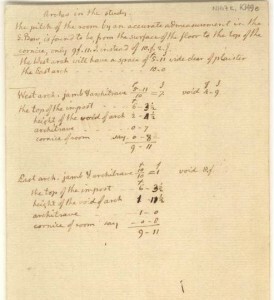 His notes about architecture, publications, furniture, clothing, weather, food and drink, horticulture, household articles, and music reveal Jefferson’s diverse interests and classic taste. Just as Jefferson chronicled the finer details of life at Monticello, Memorandum seeks to do the same for the modern shopper. The blog will draw upon all of the Thomas Jefferson Foundation’s resources, from the Center for Historic Plants to the Jefferson Library, to promote Shop products and deepen readers’ appreciation for Jefferson’s brilliant legacy. By focusing on recipes, planting guides, decorating tips, and book recommendations, the blog posts will showcase both history and innovation, pairing the elegance of Monticello with contemporary design. 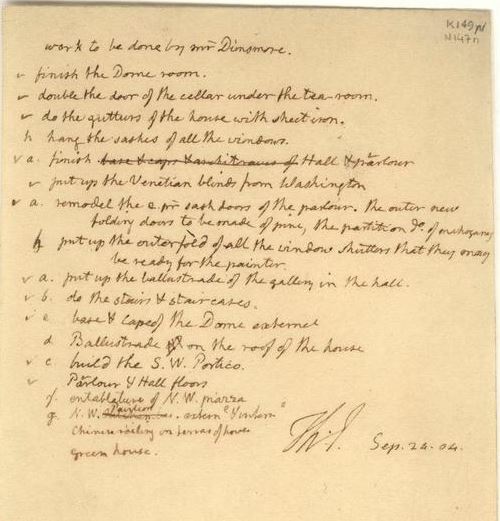 These images of pages of Jefferson’s Memorandum book were taken from the original manuscript from the Coolidge Collection of Thomas Jefferson Manuscripts, Massachusetts Historical Society.